"Homage to the Humble Bumble-Bee" painted in 2012. This painting was posted on my Facebook feed just after I finished it and it created quite a buzz! In fact, the very same day, it was snapped up by a dear old friend in Nova Scotia. I quite like the vivid colors of the flower that are nicely offset by the soft focus, imaginary background. 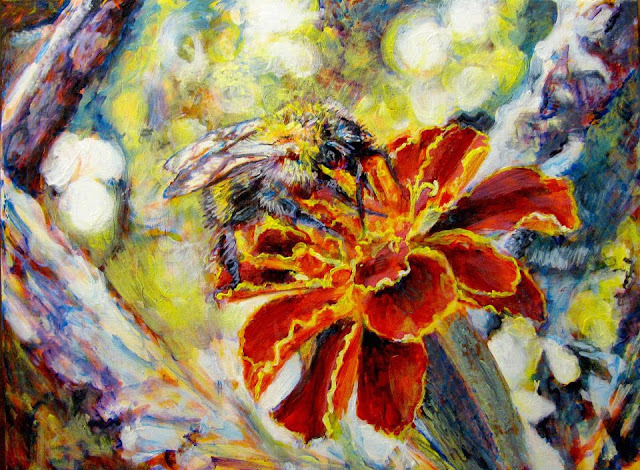 But the star of the image is the humble bumble-bee, one of my favorite of Mother Nature's creations. 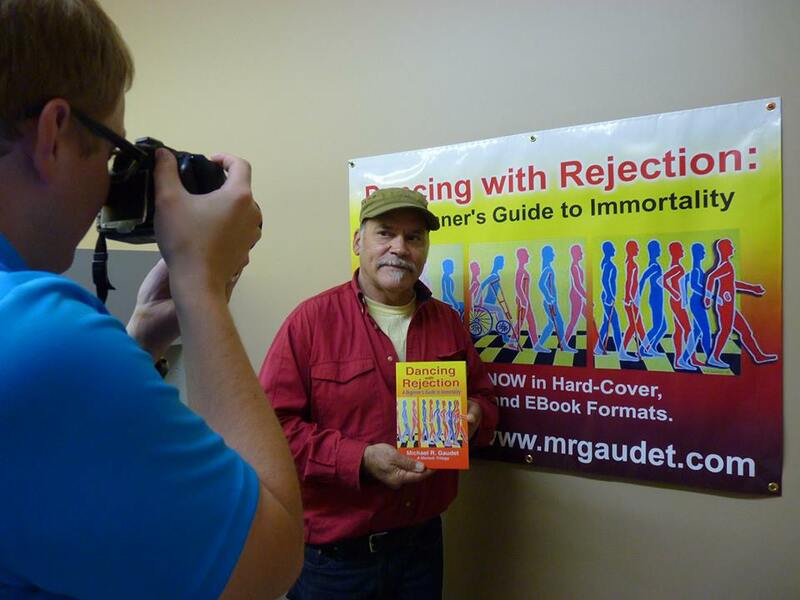 Posing with Daniel Bushman of the Watrous/Manitou Newspaper with my book and banner "Dancing with Rejection"
Will You Love My Book?